Devon Rowan came to OCUF in March of 2007. Now in her tenth year with the Foundation, she has decided to move on to a new opportunity. This decision comes on the heels of a very successful fundraiser, talk about going out on a high note! 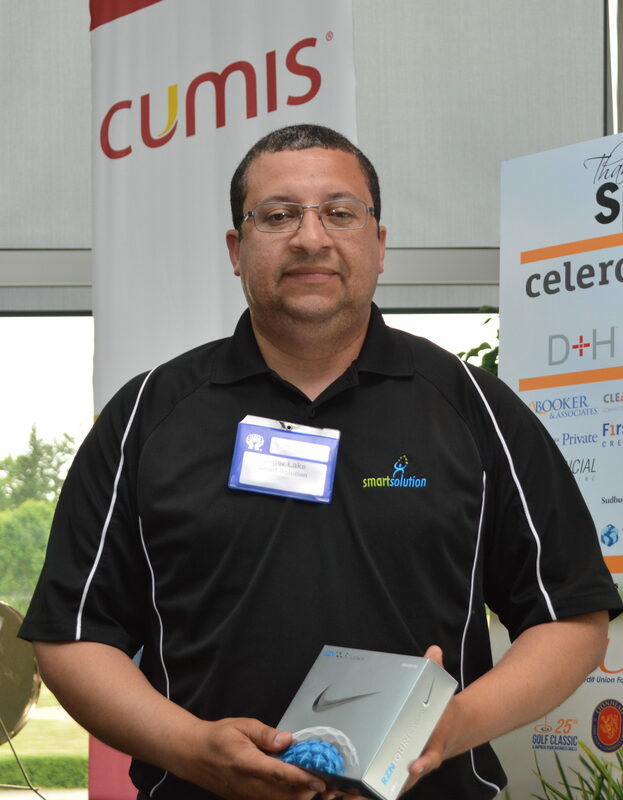 Devon, a sincere than you for your many years of service and dedication to OCUF. On behalf of the many credit union staff, vendors and other associations you have interacted with, we say thank you. Devon’s last day is June 30th. We wish her the best as she embarks on a new chapter in her life. 25th Golf Classic raises $79,645! Incredible results from incredible supporters! From our title sponsor Cumis, to all of our sponsors, participants, and friends of the Foundation you all are amazing. With your contributions and support we raised $79,645 to support youth leadership and development of youth in Ontario. Specifically, funds will be directed to the new OCUF Youth Bursary program and the Co-operative Youth Leadership (CYL) program run by On-Coop. Where do you start in thanking people? Firstly our sponsors truly make this event what it is, so to all of them a big shout out. You can find them all listed here. The participants, both golfers and workshop attendees, contribute immensely by coming out to the event. Thank you. Our many vendors worked with sharp pencils to ensure we could keep expenses as low as possible, so a big thank you to them as well. 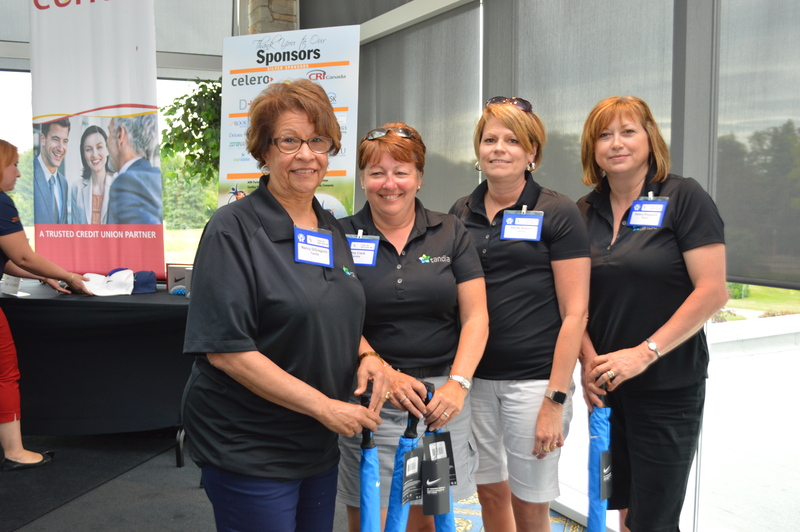 We celebrated our 25th Golf Classic this June. It is a milestone we are proud of, and we hope you are as well. As YOUR foundation, OCUF is working hard to showcase the good works we do in bettering our communities across the province. We believe the Youth Bursary program we launched this year will complement the work many credit unions are doing to support youth education. Collectively we do make a difference and we stand proud beside all of you who contributed to our event. And to each of you…we say THANK YOU! Thank you to those who submitted responses to the golf and improv survey after our 25th Golf Classic fundraiser. In a nutshell you have told us you pretty much like things as they are! Your feedback is important as it allows us to determine what we are doing well and what we can improve. You liked the fun vs golf prowess and made suggestions on some of the hole contests. A whopping 98% indicated they thought the length of the event was “about right.” One of the major “likes” was the networking opportunity so we’ll continue to focus on ways to make that work. The location got high marks as did the Improv (non-golf) workshop. You continue to like our prize table and like the way we posted winning numbers (although we need to improve how we distribute prizes). Thank you for the many positive comments about the day. Congratulations to Robert Leggo from Your Neighbourhood Credit Union. He won the two Blue Jays tickets graciously donated by Gowling WLG LLP. The 25th Golf Classic & Improve Your Business Skills workshop couldn’t have got much better. Unlike last year, the weather was fantastic. Lionhead Golf & Country Club staff did an excellent job accommodating us, and guests were busy visiting with old friends. Here are some of winners. The focus this year was less on golf prowess and more on having fun. That said, the foursome from Hamilton Commercial Printers, Harry Blunt (photo to right) and team were told by the Pro Shop they had one of the lowest net scores ever turned in! The Tandia team of Kathy Clark, Nancy DiGregorio, Sandy Alward, and Donna Sheppard won the “most honest” team (photo on left). It took the Pro Shop a while to add things up, but they had the highest score. I don’t know about you, but I’d give my money to someone that honest! Way to go ladies. 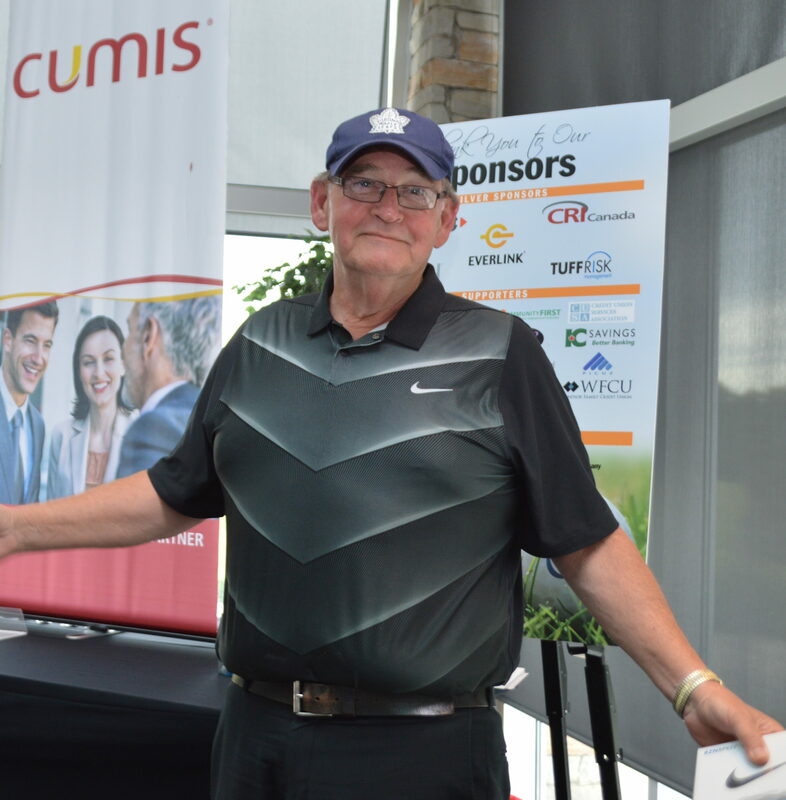 The putting contest winner (by way of a playoff just before dinner) was Roger Lake from Smart Solutions (photo on right). Anyone who attempted to get the ball though one of the five holes will attest to the fact you had to be a) very good, or b) very lucky! The Best Dressed Team went to team 11A gathered from PenFinancial. Truth be told they bribed the judge (which was permitted in the rules). Diane Nieuwesteeg, who claimed she was a tall has her age (really! ), suggested they were absolutely the best dressed team. Who was going to argue?! As a result of a communication mix up the On/Off the Green contest, we did a random draw of all who golfed and Dave Stoddard from one of the PACE foursomes won. He was pleased to have one a dozen Nike golf balls that compliment the now famous “Nike wedge” utilized by a number of the golfers. The real winners of the day will be the 2017 Youth Bursary recipients and the CYL Program. Thank you to everyone who made the day a huge success! 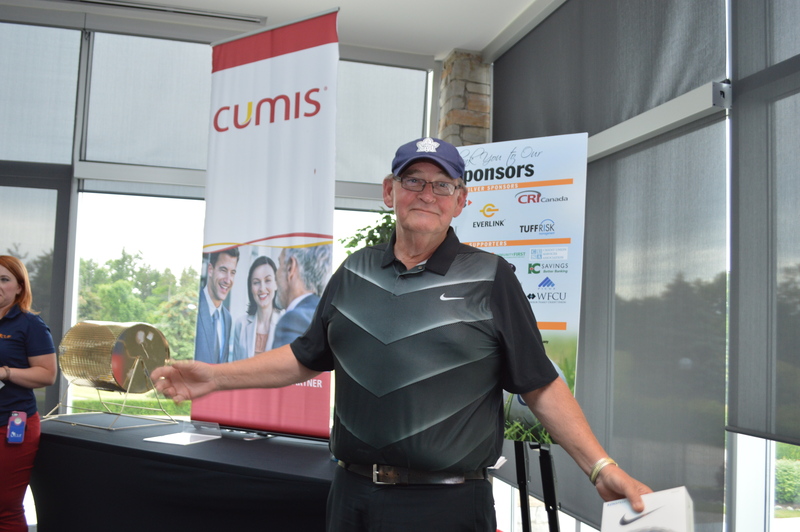 Click on the picture to see the full gallery of photos from the 25th Golf Classic & Improv held June 13, 2016 at the prestigious Lionhead Golf & Country Club. The golfers were challenged on the Master’s course but everyone survived the day with a lot of fun had by all. Pictured here is one of the PACE foursomes catching some shade. Improve Your Business Skills with Stephanie Herrera was a lot of fun for those learning new improv skills to think quicker and be more creative.